Meet Betty! Betty is a Bronze Wing Pionus. Betty came to Parrots First when her care giver died suddenly.Betty is a very sweet girl who steps up easily. She has a beak that grows thick and our vet tech will be working on that. Betty's adoption fee is $275. 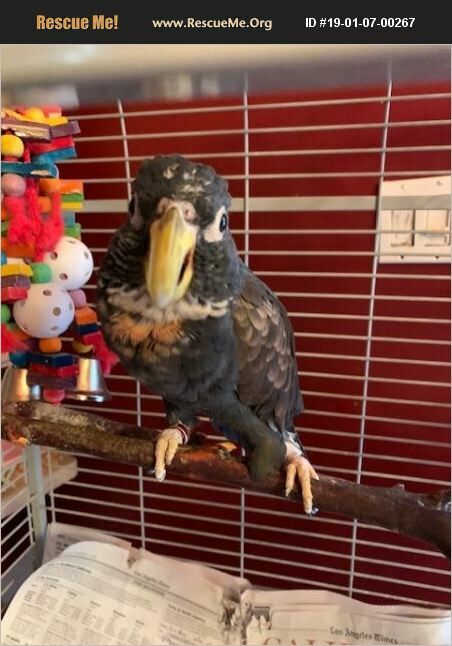 Parrots First only adopts in the Los Angeles area.